Airport personnel in those West African nations are trained by the CDC and the World Health Organization to look for signs of illness in travelers and question them about their health and whether they've been exposed to Ebola. And CDC spokeswoman Christine Pearson says they're also taking temperatures. They do have what we call non-contact thermometers, which are infrared thermometers that they can read the person's temperature with their forehead. Some question how thorough those airport personnel in West Africa really are at screening travelers. But if a sick passenger were to slip through, airlines already have the legal right to deny boarding to anyone with a serious communicable disease. If a passenger should become sick during flight, flight attendants and other airline-personnel have the training to deal with that, too. Perry Flint is a spokesman for the International Air Transport Association. Airlines have well-established procedures, guidance materials developed with the World Health Organization and the International Civil Aviation Organization for maintenance crew, for cabin crew, for cleaning crew in terms of dealing with an outbreak. Once international travelers land in the U.S., Customs and Border Protection officers, who have also received special Ebola training, are the next line of defense. CBP personnel review all travelers entering the United States for general overt signs of illnesses. It's through a visual observation at all U.S. ports of entry, including all U.S. airports that service international flights..."
Hmm, so the system depends on screeners at the airport of origin, the airlines, and CBP. Well, in this case the man apparently was not sick when he left Liberia. 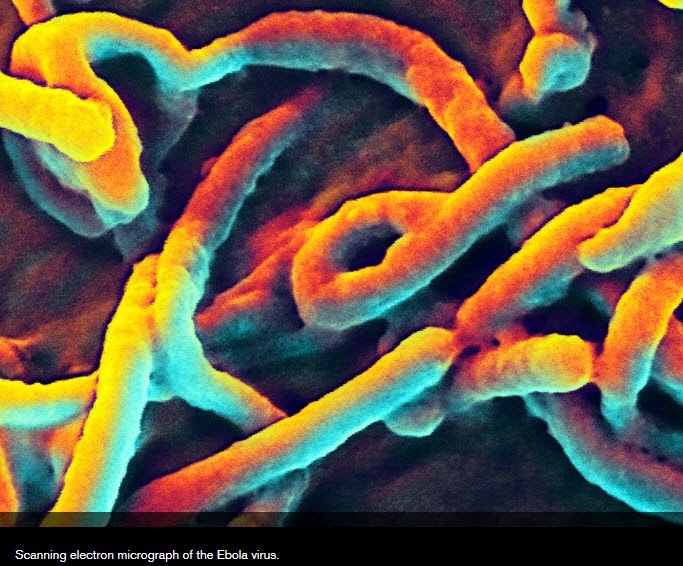 According to the Director of the CDC: "... Ebola doesn't spread before someone gets sick. And he didn't get sick 'till four days after he got off the airplane. So we do not believe there is any risk to anyone who was on the flight at that time..."
Well, unless the man contracted Ebola in the United States, he clearly was infected in Liberia but did not get "sick" (i.e. did not show any symptoms) for four to five days (one day of travel plus four days after he deplaned). This would seem to shoot a big hole in the theory that the airport screeners will prevent those with Ebola from traveling. And this doesn't even take into consideration possibilities such as faulty screening, venal screeners (who might be bribed to allow someone to pass), and a host of other possibilities.